I summoned a female Sino with a black female Zyu. I was absolutely ecstatic that the name The Central Dogma wasn't taken, so it could feel super powerful and match my genetics theme for my skywing lineage and my GoNs. Don't have any name ideas for future ones yet though lol. ANSWERED:Change joined 2006-2010 to "Joined before xxxx"
So for the people who have the date actually showing on their scrolls, what format is it in? Like specific day/month/year? I checked a couple scrolls and it looks like you can't see someone else's join date. If the plan is to have it be something you only see on your own scroll, I think using the oldest dragon's stolen/laid date works pretty well. I know my first batch of four eggs died from not knowing how to play yet, so the exact date is probably a week or two off from my first successfully grown dragon. Or maybe something like "Summer 2008" would be a fun way to extrapolate the date of the oldest dragon (though I admit this bias comes from joining around the time the seasonals were first released, but missing out completely on the original summer dragon's release and having to wait a year for them again ). Worst case scenario, just showing the single year that would be a scroll's most likely starting point is better than a whole range. Proud to be a part of this website for nearly 9 of the past 11 years! Changes like these are a nice refresh to the gameplay. And the platinum trophy is quite beautiful! Yesterday I just finished getting the last of the fire gem eggs I needed. Perfect timing! Update: No interest on the Insidious line. Intended For: I believe Laura-Lana is next? And the Solitary line has started! I don't know which line you have a preference for, PhantomoftheWolves, but I would enjoy starting the Solitary line if that's cool. I also wouldn't mind starting one of the lines, and would like to join all four new ones (Persistent, Solitary, Spooky, and Perilous) in random spots on each list. Heartstealing eggs look hard to find on the AP right now, so I wanted to throw a couple 2nd gens here on the thread. Try to let newbies grab these if you don't mind! Turn them into a giant checker? I might try again, actually. I was having a lot of trouble getting skywings out of them, since frills were still balancing out. 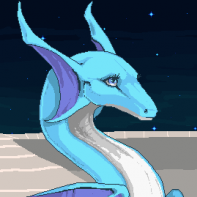 I wish I could breed ochredrakes with horse dragons too, so I could have a whole checker of dragons that have "strange markings" for their egg description. I'm at a loss for ideas for what kind of breeding project I want to do next. I guess it's nice since I've gotten a lot busier these past few months, but on the other hand I've just been grabbing skywings and frills from the cave for weeks now. Is anybody's badge linking to their house now? Because mine still isn't. The link looks completely broken altogether, considering it points to https://holidays16/ and is missing the domain name. To those of you that wanted to see, here is an image album of character art and some basic character information. The Thalassian pair are incredibly designed! I cannot wait to see who/what else might populate Valkemare. I'm just looking for one more 2nd gen Aegis egg, and I know I've literally seen more Holly eggs in the AP than anything even remotely like an Aegis. Even the Mistletoe and Solstice eggs get me excited just to see some blue in there. At least I got a Fell egg from the biomes, which I still needed. Stoked as always! Last year's event was pretty extravagant, so I hope the artists and programmers have taken a restful break. Thank you for all the hard work JaneMcAsh! I'm constantly impressed by the magnitude of this project. I'm always around if there's a hand to lend. I always try to pick permanent pairs for my holiday dragons, so for the caligenes I chose candelabra, antarean, gaia xenowyrm, and dark lumina mates. 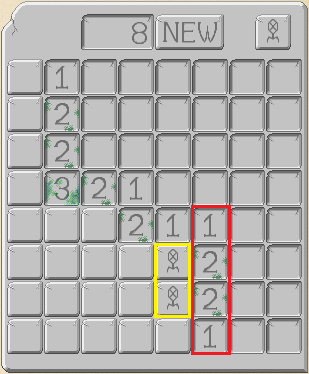 Whenever you see this combo, the two mines will be separate from each other. Your reflex should be to click next to the 2 since it's always safe. 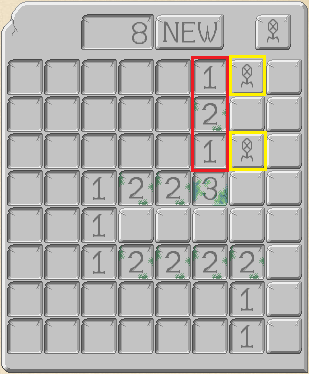 This combo means that the two mines are next to each other. Unlike the previous pattern, always make sure to mark the spots next to the 2's as mines. 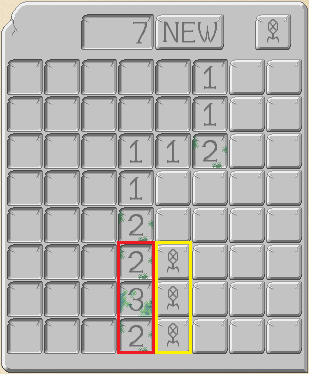 Any sort of 3 in a straight line means that the mines will also be in a line next to it, and the 2's mark where it ends. In this picture, the square up and to the right of the red box is guaranteed safe. 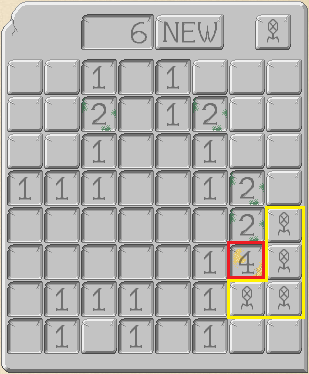 If there was a row that was 2-3-3-3-3-3-2 all in a line, that means there are seven mines next to each other, with a safe spot on each end. This one means you should immediately go and mark the four spots surrounding the corner of the 4 tile. Finding these helps you clear almost half of the mines on the board. Finally, all that time I use playing minesweeper is useful! I wish I had more free time this year to get the new zombie dragons sprites, but alas I am too busy. Next year for sure though! They're all so well made.